Our customers are mostly working in the oil- and gas industry, energetics, and chemical- and mechanic industry as investors, general contractors, distributors and construction companies with whom we have long-term partnerships. Starting from informative tenders up to satisfying complex material needs – we provide everything from one single source. 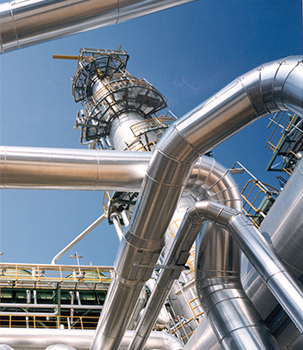 When making a strictly scheduled, high-risk piping project, whether it is a reconstruction of a compressor station, a new pipeline or a new power-supply system, the most important aspect, when picking a trader, is the safety of supply. We believe, that the best reference is the reliable fulfilment , which is our mission. With our customized solutions, we intend to put together the most adequate package. We create unique quality-price-deadline combinations, which fulfil all technical requirements and result in an optimal purchasing function (ARGENTO MIX). According to the spirit of our slogan, „TUBULAR CONNECTIONS”, we build strong relationships with suppliers and manufacturers, 2/3 of our purchases come from a direct manufacturing source. Small and quick demands can be efficiently satisfied with the help of european warehousing companies. A special niche of the customer demands, stainless carbon steel pipes, can be shipped within 24 hours from our own warehouse in Törökbálint.